Two school districts in west central Minnesota are excited to provide expanded services to their youngest scholars. When four-year-olds in Waubun-Ogema-White Earth’s Kick Start preschool program came to school this fall, they had their own classrooms for the first time, thanks to a new Early Childhood Family Education (ECFE) addition. The two dedicated preschool rooms meant Kick Start could offer all-day, every-day classes. The new addition also has an ECFE classroom for newborn to five-year-olds and their families, plus a conference room, bathrooms and a new indoor play area. The play space was designed especially for younger children and includes softer flooring to cushion falls. Outside, community donations helped provide new play equipment for the whole school. At Lake Park Audubon (LPA) Elementary, preschoolers were also enjoying their own designated space, thanks to a summertime remodel. An added classroom means LPA can offer half-day classes Monday through Friday instead of every other day. Why the interest in expanding early learning? The State of Minnesota received a big boost in early learning funding in Dec. 2011 when it was awarded a $45 million federal Race to the Top-Early Learning Challenge grant. 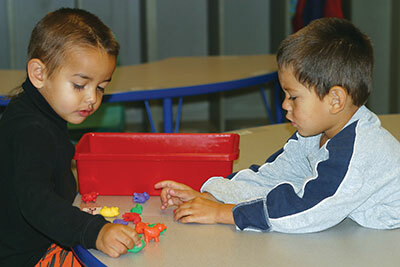 Both school districts were able to access funds to help expand their early learning programs. But the changes went beyond funding and bricks and mortar. Both are also part of Minnesota’s PreK-3rd Grade Leadership Institute — a statewide expansion of the PreK-3rd grade curriculum alignment forums previously held by West Central Initiative. The institute brings together teams of leaders from early childhood and early elementary education to review current PreK-3 research and best practices, plus their own current practices, then develop strategic plans for their communities to implement.